Element7 is Europe's leading brand for award-winning engineered wood floors, both wide-plank and parquet (patterned) from £135 psm. We specialise predominantly in prime and ultra-prime properties; in addition, we also do a select number of exclusive commercial properties. At Naos we offer a highly personalised service for our clients, whether you are undertaking a new building project or remodelling your existing house, we are here to help. Our showrooms have many products on display from Natural Stone and Engineered Wood flooring displays, to a dedicated Porcelain tile showroom and a carefully selected range of quality Carpets. 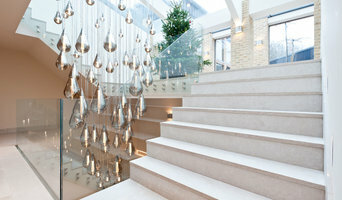 Alongside our products for the interior, we also offer a comprehensive collection of external materials. Our customers enjoy the choice available and we like to think we do a good job of looking after them. We have a strong reputation for installation work, project managing our jobs to achieve very high levels of customer satisfaction. We can also offer all materials on a supply only basis, depending on the projects requirements. Feel free to visit our showrooms and let's talk about what we can do for you! Looking for reliable flooring contractor in London? You are at the right place. The Flooring Group has been established as a family business since 1973, with showrooms throughout London and a Commercial Division servicing the South of England. 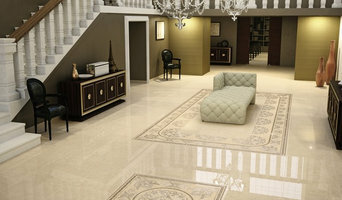 The Flooring Group has a 100% customer satisfaction guarantee. The Flooring Group Ltd can supply and install the full range of flooring products to help you modernise your property with a new floor and to improve your home interior. Carpets, hardwood flooring, Marmoleum and vinyl flooring are just some of the products you will be able to sample in our showrooms. 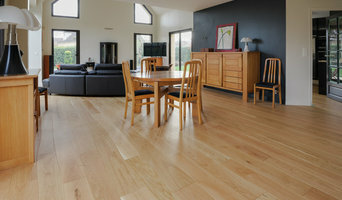 Our team of highly experienced floor fitters will offer advice and guidance to help you choose the right floor for you. We work closely with all the major brands and manufacturers so you are sure to find the designer flooring you like at our showrooms, be it new carpets, laminate, Amtico or a new hardwood floor. We are confident that once you have visited us you will not feel the need to look elsewhere. You can trust us from the moment of the choice of the material, through installation and consequent maintenance. If you would like a competitive estimate, please contact us on 020 7435 5678 or visit one of our London stores. You will find our staff both welcoming and extremely knowledgeable and no surprise then that a lot of our sales are to returning customers who obviously enjoyed the experience last time around. An invaluable resource for interior designers as and retail customers, Roger Oates Design is renowned for signature stripe runners and rugs. The unique woven texture, vibrant designs and bold use of colour set the flooring collections apart and form the company’s iconic handwriting. The flatweave has a unique texture and a finished selvedge edge that makes it ideal for stairs and halls; it can also be joined to create rugs of any size or wall-to-wall fitted carpets. Designs include statement stripe borders and all over classic fine lines in a carefully edited colour palette ranging from quiet, sophisticated neutrals to bold vibrant brights. 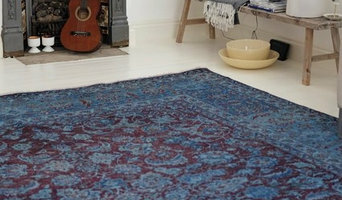 All the runners and rugs are made from 100% wool and are designed, woven and finished in Britain. Tapis Felt rugs in geometric shapes joined and finished with a blanket stitch. The rugs are bespoke and can be made in customer’s own designs from a choice of 29 colours. Where can I find the best Mitcham, Greater London carpet fitters? A carpet professional will often both supply and fit carpets. A full service carpet professional can offer everything from a catalogue of carpet colours and pile options to carpet accessories like underlay, gripper rods and door plates. Carpet fitters will need to measure your home and they will provide you with an estimate for materials and fitting service. Similarly, if you need someone to help with carpet repair there is a dedicated carpet professional in Mitcham, Greater London just a few clicks away. Check the reviews of carpet fitters in Mitcham, Greater London and look out for those who are members of trade organisations such as the NICF (National Institute of Carpet & Floorlayers) or the National Carpet Cleaners Association (NCCA). On Houzz you can search for flooring specialists and carpet fitters in Mitcham, Greater London and start to shortlist companies by adding your favourite images to an ideabook. Think about the style of flooring or design of carpet that might best suit your room and then approach the most relevant experts who can then fit your carpets, lay tiles, install hardwood floors or show you how to fit laminate flooring. Your carpeting and flooring professional might work closely with Mitcham, Greater London contractors, interior designers and others in the home building and home improvement industry. Here are some related professionals and vendors to complement the work of carpet & flooring: Interior Designers, Design & Build, Specialist Contractors, Main Contractors, Home Builders. What do I need to ask flooring manufacturers, installers and carpet fitters in Mitcham, Greater London before I hire them? How long have so been in the flooring business or working as carpet fitters in Mitcham, Greater London? Find carpet fitters and flooring experts on Houzz. Narrow your search in the Professionals section of the website to Mitcham, Greater London carpet fitter and flooring professionals. You can also look through Mitcham, Greater London photos by style to find a floor design you like, then contact the floor companies or carpet fitters in Mitcham, Greater London that worked on it.